It’s a double-header with Drew Biology Professor, Dr. Tammy Windfelder and NJ Conservation Foundation Ecologist, Dr. Emile DeVito, as they report back on current research from our own Conservation Management Area (CMA). Emile will report on forest recovery results gained from a recent plant survey conducted inside our 30-acre deer exclosure and a local comparison unfenced location. 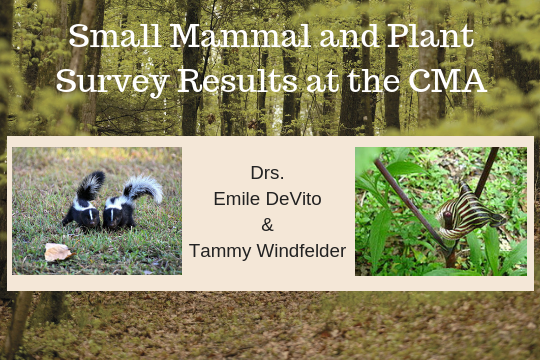 Tammy will talk about what 10 years of research on the small mammals at the CMA and Drew University teach us about these species. Come hear about the responses of these wild animals to restoration efforts, competition, and disease. Continental breakfast will be provided. Registration is required.